Flood Risk Meeting – Piha Community spoke out. The meeting on the Flood Risk options held by Auckland Council at Barnett Hall last Sunday was attended by 40-50 people, mostly Piha locals and Live Streamed to Facebook by Bobbie Carroll. The history of the affected areas including filled in wetland should have been taken into account in the reports. Seaview Road bridge is a “choke point” and should be kept clear by Council. Seaview Road bridge is a “choke point” and should be raised and widened to allow greater flood water flow. Soft engineering options should be investigated including the restoration of wetland in the school house area. Signage installed by Council was inappropriate, over done and wrongly positioned. Flooding episodes only last 15-30 minutes and that should be factored into options. Early warning were supported subject to the risk of false alarms which would reduce effectiveness. Auckland Council was requested to be more transparent in their communications with the Piha community. 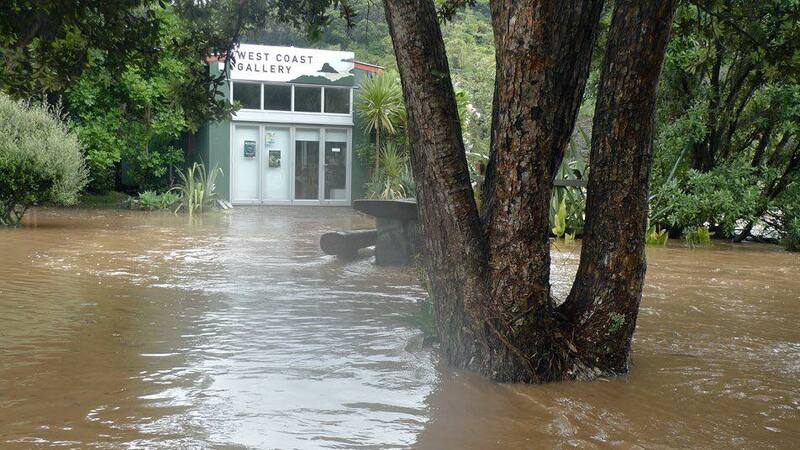 The Piha Stream, which runs along Glenesk Road in Piha, is subject to flash flooding. The location of buildings, bridges, and roads in the floodplain means that there is a high safety risk in some areas. In February and April 2018, high levels of rainfall led to significant flooding, which resulted in emergency evacuations on Glenesk, Seaview, and Beach Valley roads. After these events, we undertook flood modelling to better understand the risks and impacts of flooding along Glenesk Road. We have come up with a list of options to address and manage the risk of flooding in the area. Read detailed explanations of each of the options on the consultation documents page. We will continue to improve the ways we already respond to flooding in Piha. This includes installing new equipment and signage, and planning Piha-wide emergency management. This option would involve installing an enhanced warning system that uses specialist weather forecast modelling and stream monitoring, rather than just rainfall. This option would look to boost cell phone coverage in Piha, in order to increase the effectiveness of our warning services. We would also introduce a recorded voice warning system as a part of this option. This option would mean raising the height of Glenesk Road by approximately one metre, which would allow the road to be used for evacuation and for emergency services during a flood event. This would involve replacing culverts and a bridge, and upgrading around 30 driveways. It would also involve building new vehicle bays to prevent vehicles from floating away in a flood. This option would involve major engineering works to build a dam to store floodwaters and reduce peak flows during heavy rain. Single dam: where the Glenesk and Piha tributaries meet. This option involves constructing a tunnel to divert flood waters away from Piha Stream. The tunnel would be 1.4km long, four to five metres wide, and would stretch from Piha Stream to Whekatahi Creek. This option would mean widening and lowering Piha Stream in order to allow floodwaters to drain quickly into the sea. to manage larger, less frequent floods (ten-year storm events). 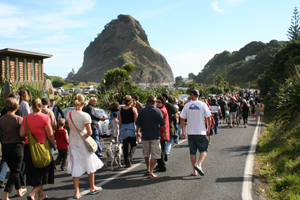 This option involves making Piha Stream larger and deeper from the Seaview Road Bridge. It would also involve removing the sandbar and sediment build-up in the lagoon. The stream would need ongoing excavation and dredging to be effective. You can have your say from 29 March to 30 April 2019. You can provide your feedback using the online form, by email, or at the public meeting on Sunday 14 April. See the Ways to have your say page for more details.